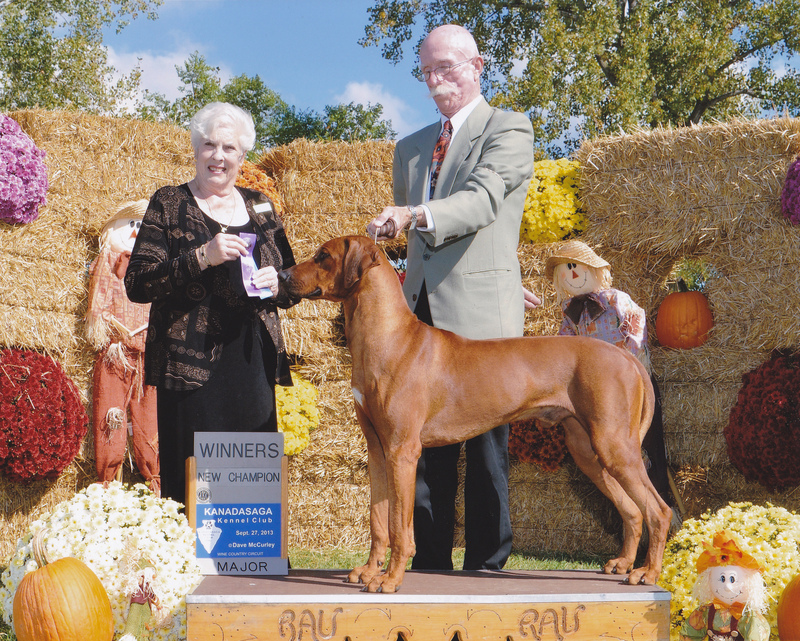 Champion Cataraqui Kaskazini Wonderer "Floyd"
October 13th 2013. 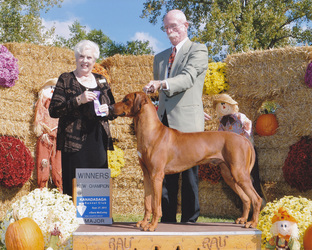 Floyd became a Champion at the RRCUS supported shows in the Fingerlakes at the end of September. The following day he won Select and gained his first points towards his Grand Championship! 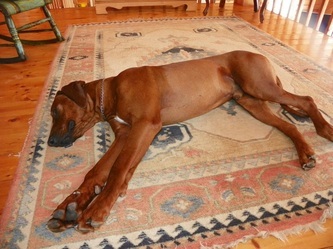 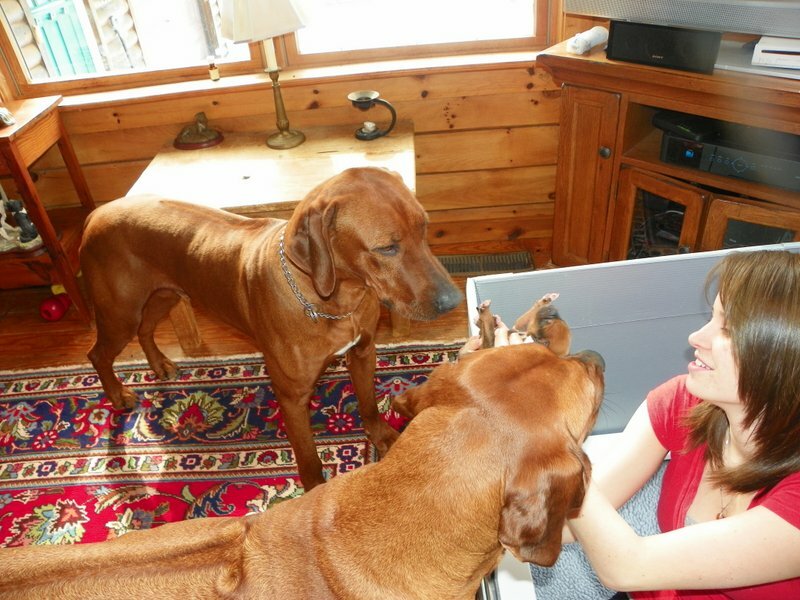 We want to thank the Cataraqui Kennel for entrusting Floyd into our care. 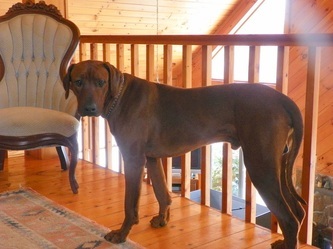 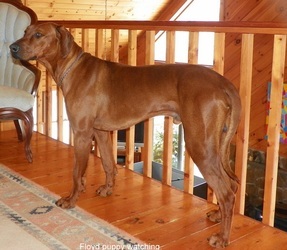 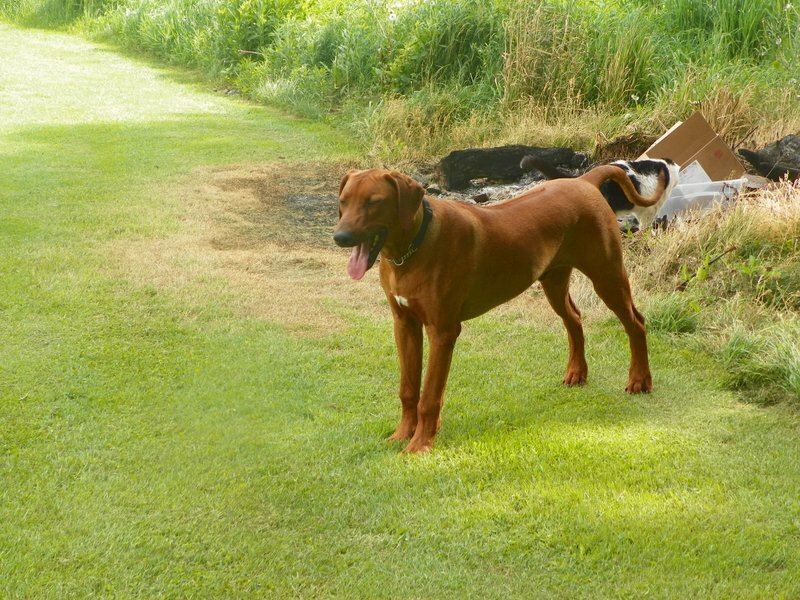 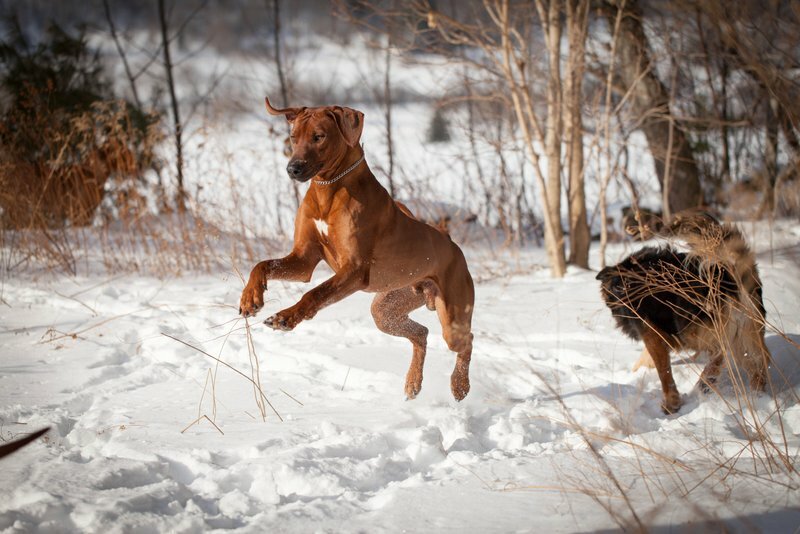 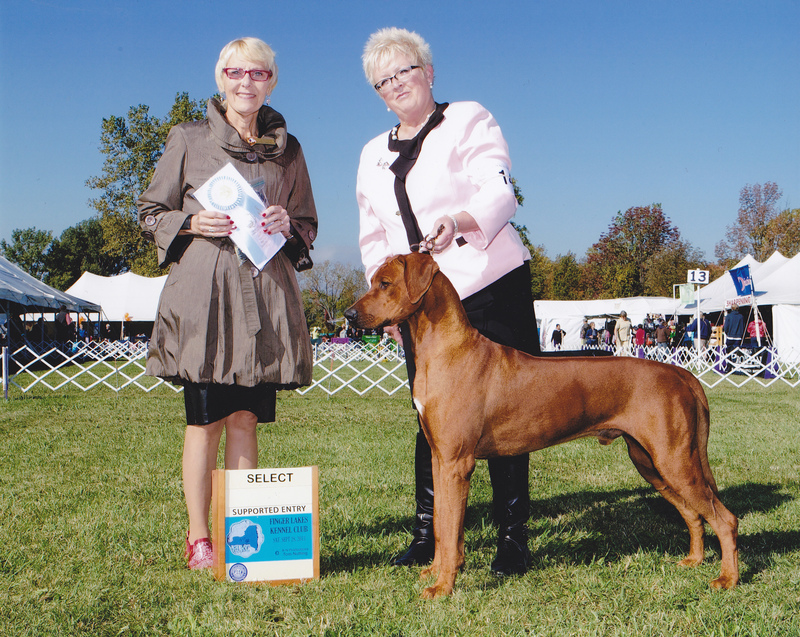 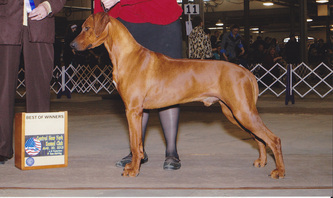 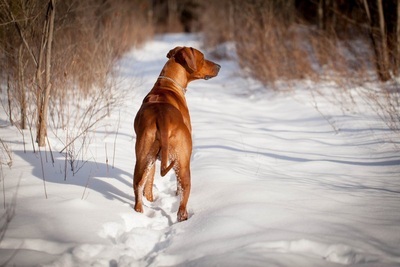 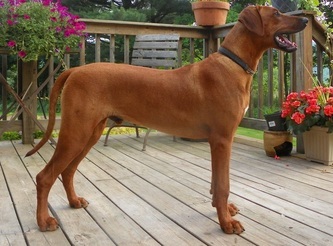 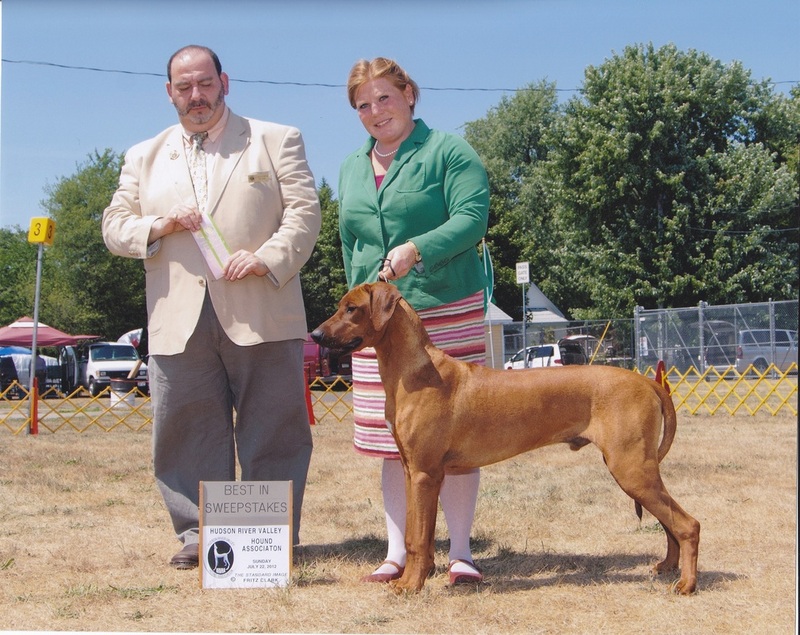 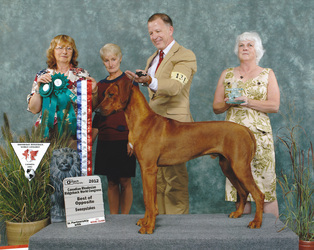 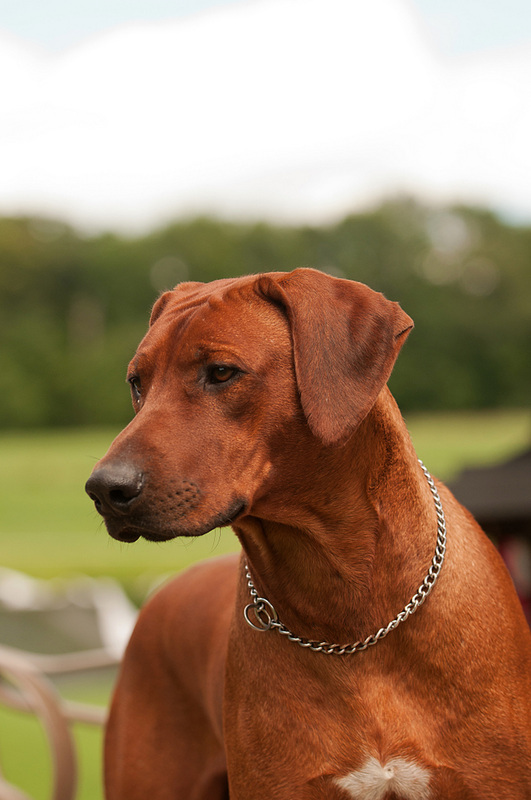 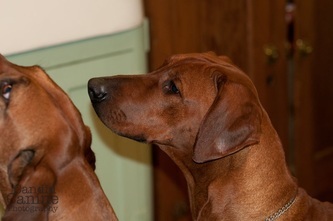 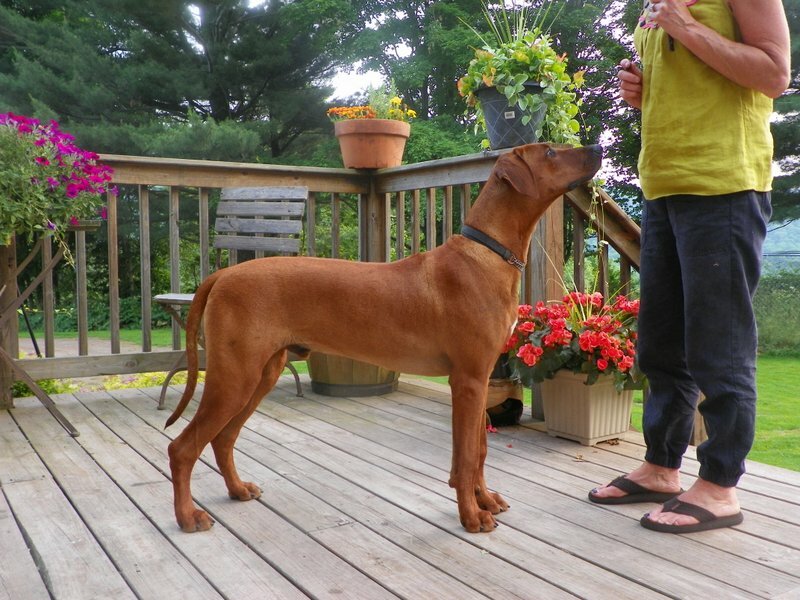 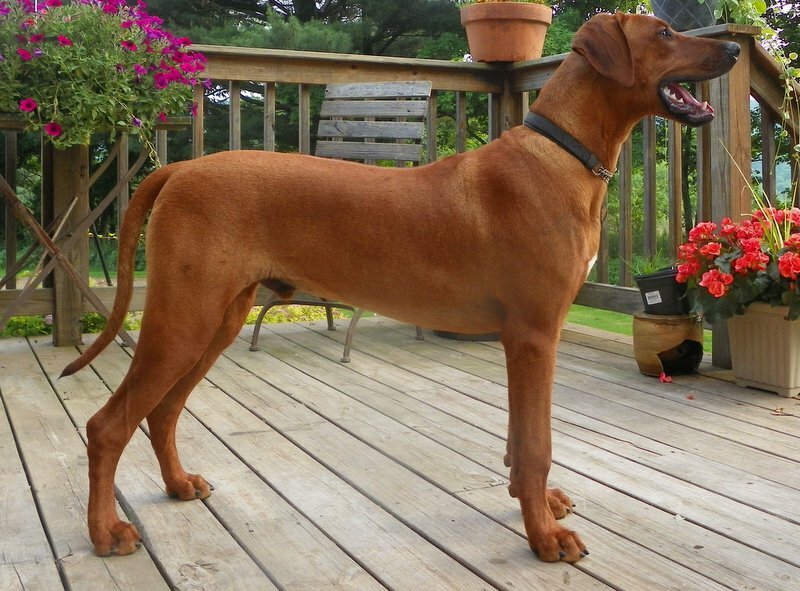 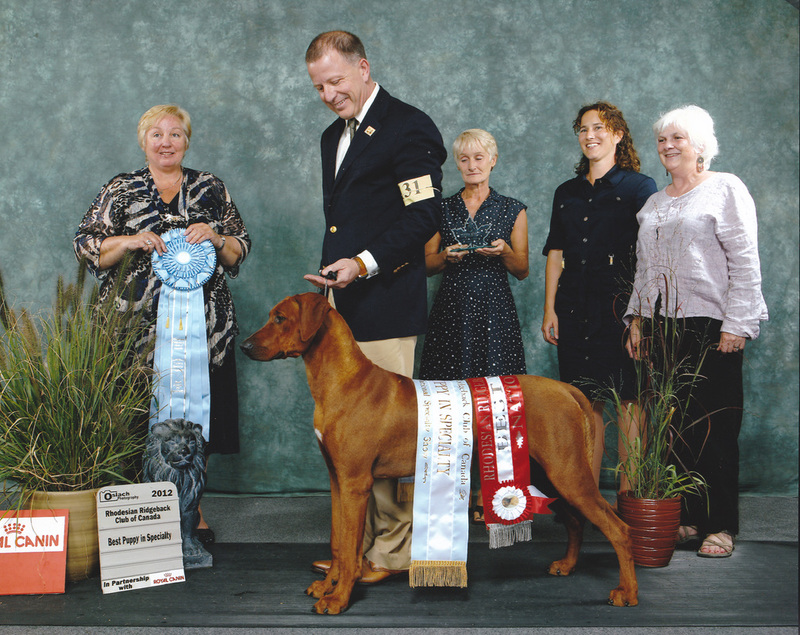 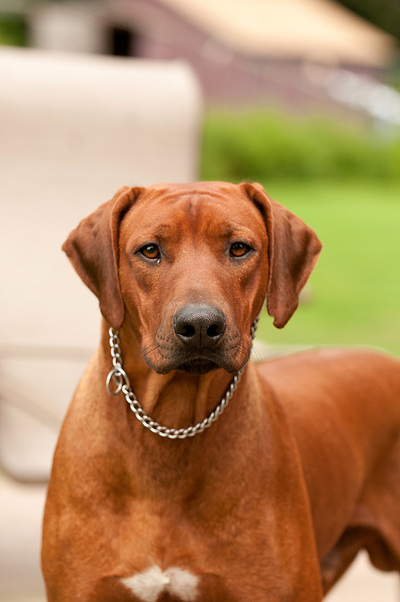 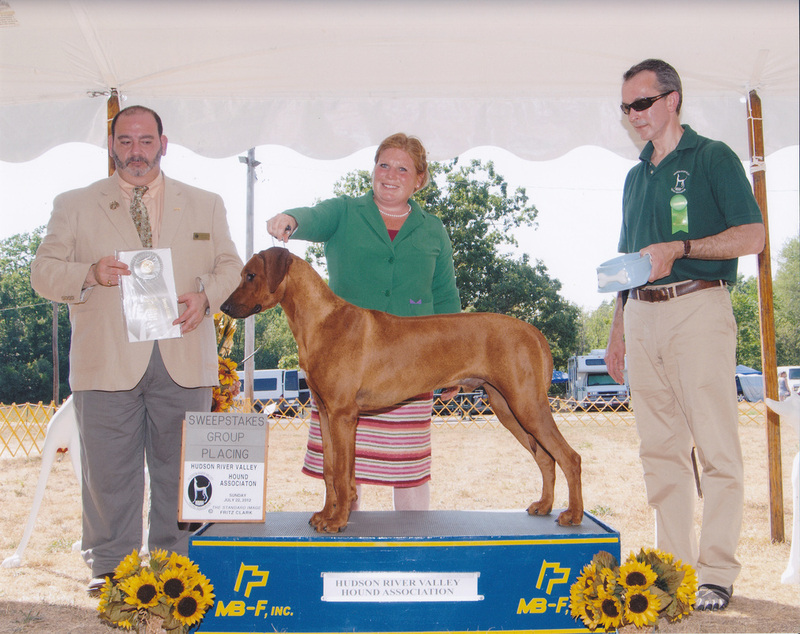 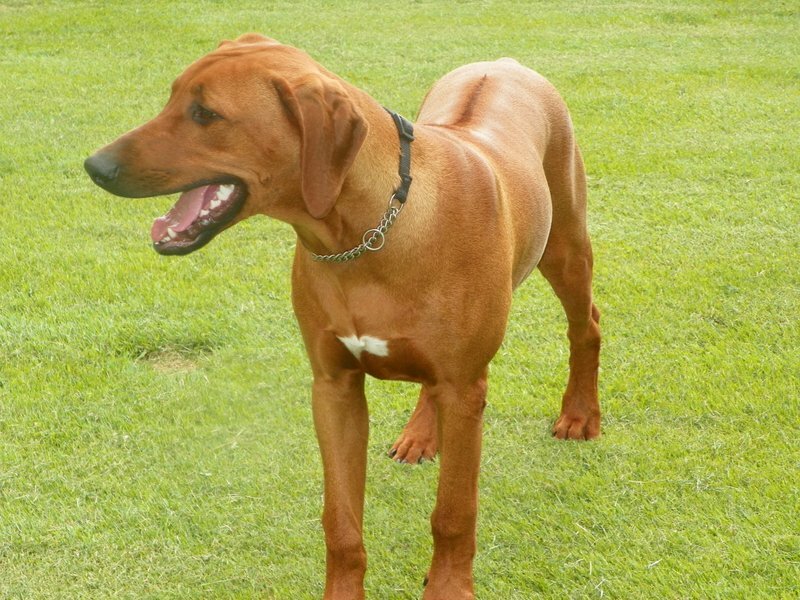 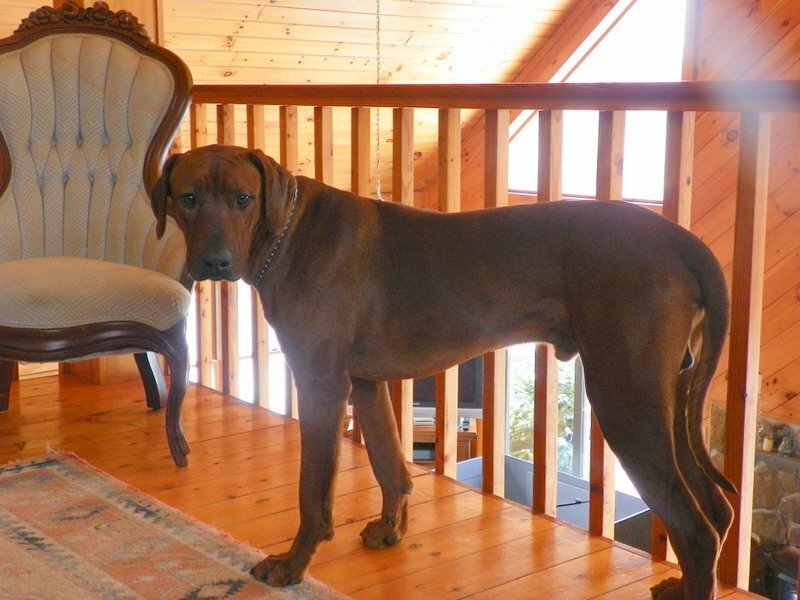 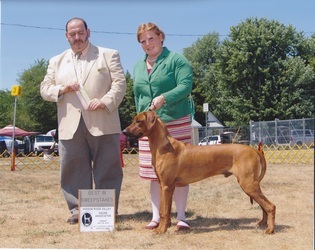 Floyd has excelled in the showring taking points towards his championship at his first ever show and at the Rhodesian Ridgeback World Congress in Canada he went undefeated in all 3 puppy classes under breed judges from Germany, Australia and South Africa. 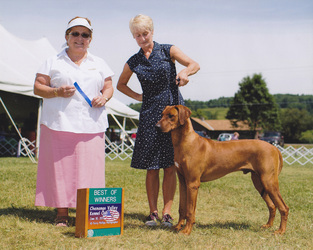 He was also awarded best of opposites in Sweepstakes by UK breed specialist Anne Gates and Best Puppy in Speciality Show under Breed Specialist Di Brennan.